The significance of social media and the sheer reach of information — both true and false — is dominating headlines and the public morals. Most recently, false stories surrounding ISIS & Whatsapp Profile Picture spread like wildfire, causing many to question the power of social platforms such as Facebook when it comes to the spread of bogus news. While we can’t control the click-crazy groups sharing half-truths online, what we can control is the content we share and, we can ask our friends circle to do the same. With so many people now consuming their news from platforms such as Whatsapp, Google, Facebook, and Twitter, the need to carefully examine sources, content, and story tone are becoming more crucial. 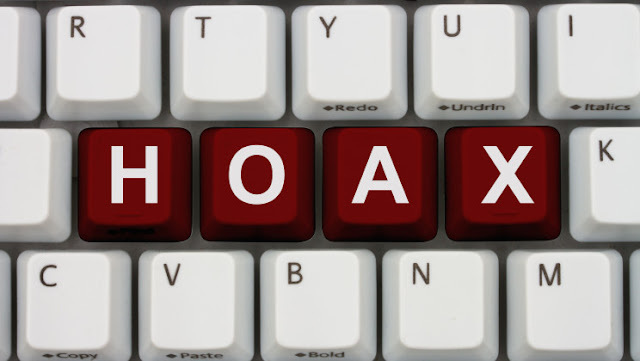 Think about the fake news this way: If you read an interesting news story marked “breaking news” that sounds like a serious news story, then share that story on your personal platforms, if that information is false, you are just as guilty as the bogus source. There’s much responsibility in commandeering even the smallest social channels these days — especially when cyberbullying, slander, and plagiarism becomes more prevalent in our digital culture. Before sharing any content check the article’s source ask Ethical Hackers Club or Google the headline (or subject) to see if the story resembles in another reliable source. If it’s “breaking news,” and it's coming from a faulty source outside of the mainstream media, then it’s (likely) not the breaking news. People creating fake news are getting more sophisticated creating stories that look, sound, and influence. Be very careful in checking sources during times of national tension when tempers are running high. Often false stories are planted by special interest groups to fuel one side or the other of a social crisis. Teach kids to think carefully before sharing such information. When in doubt — don’t share, post, or publish. Look for exciting stories that mix in real news articles with completely fabricated stories in an attempt to seem believable. Also look for gross ads on the page. Reliable news outlets will not have weight loss pills or celebrity gossip blog posts flanking legitimate news coverage. Before sharing know: Who is saying this? Is this organization reliable? Is the information biased (fact or opinion)? Recognize objectivity: In any news story that is convincing, there will be two contradictory aspects. A quick Google of sources quoted will render titles and authenticity of sources. Objectivity simply means to be fair to both sides of an issue. Look closely to see if the story is a sponsored post: More and more, websites are created to look like legitimate news sites but are sponsored by special interest groups. Google the author’s name and see what other works he or she has published: If you can’t find the author elsewhere and it’s a “big” story, chances are the author is not using his or her real name. Sometimes a fake article will be void of an author’s byline altogether. Evaluate the article’s tone and purpose: Is this written to inform and educate or is written with biased and created to influence the reader? 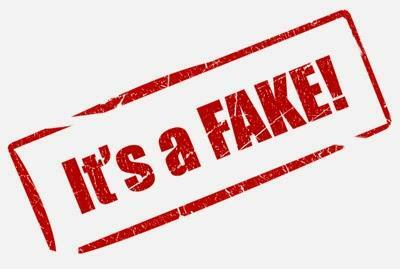 Verify date: Many times fake stories will not have a publish date attached, but a reliable report will always have a date. Evaluate image quality, the number of clicks, and overall layout: What is the quality of the graphic images? Does the “news” site feel cluttered? Do the story images enhance the resource or distract from the content? How many clicks did it take to get the desired information? Often, fake stories will be overpopulated with ads or presented in slide shows that make room for more popup ads. Getting multiple clicks out of a user helps a sensationalized website wit its ad sales. Along with the all the good on the Internet, comes the time-consuming duty of fact checking. Commit yourself to share the truth by checking facts, and teaching your kids mature posting habits when they are young. Take the time to convey the value that when false information moves from person to person, individual, and community integrity becomes compromised.